Please see the changes to the “Identification Procedure” section below regarding criteria for affected serial numbers. The identification method has been enhanced to include the first digit in the identification procedure in order to more precisely identify affected products. 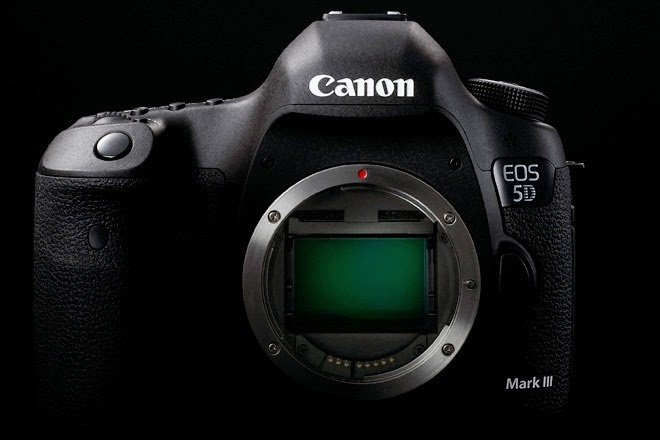 Concerning the EOS 5D Mark III digital SLR camera, when the LCD panel illuminates in extremely dark environments, the displayed exposure value may change. Canon has concluded the investigation of this phenomenon, and this announcement informs you of our findings as described below. In extremely dark environments, if the LCD panel illuminates, the displayed exposure value may change. However, based on the results of extensive testing this change in exposure value will not noticeably affect the captured image. The phenomenon described above may occur in Canon EOS 5D Mark III Digital SLR Cameras whose first and sixth digits of the serial number are as set forth below. "X"="0" and "N"="1" or "2"
Examples of affected serial numbers are: "0nnnn1nnnnnn" or"0nnnn2nnnnnn"
Under almost all shooting conditions (including dark environments) this phenomenon will not affect your captured images. However, if you would like Canon to inspect your camera, we will provide this service free of charge upon request beginning in mid-May. Please contact Canon using the information below to request service. Please register the EOS-5D Mk III. By registering, we will be able to notify you via email when service updates are available. If you already registered, please ensure you are opted-in to receive the notification.